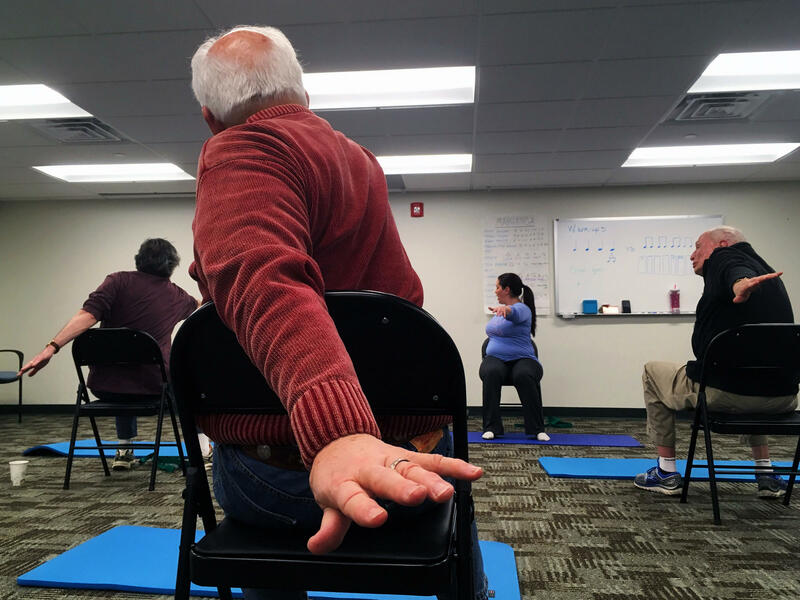 Bonnie Hoolihan leads BRiTE participants in chair yoga on Friday, February 17, 2017. 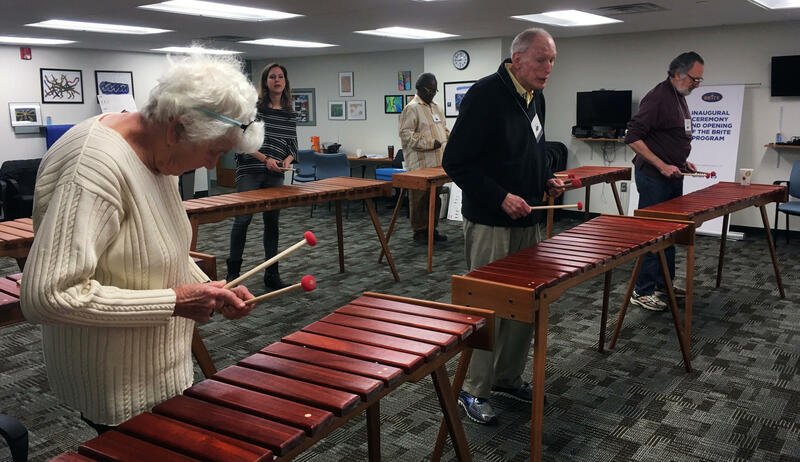 Jennie Dorris leads the class in a marimba lesson at BRiTE on Friday, February 17, 2017. 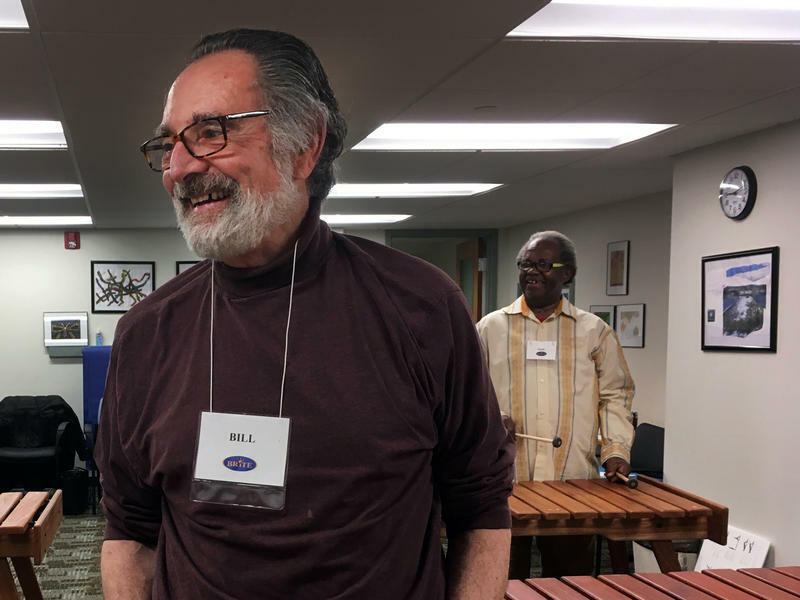 Bill Caroselli smiles during marimba class at BRiTE on Friday, February 17, 2017. BRiTE participants chat while working on self-portraits on Friday, February 17, 2017. “Take a look at it. Use the contours, look at your instrument,” Dorris told her students. “Let’s see how it goes." Sally Newman, Sam Williams and Barry Leonard play the marimba in Jennie Dorris's (back left) music class at BRiTE on Friday, February 17, 2017. The melody the students wrote has eight notes in it. According to Dorris, it’s commonly believed that humans can recall about seven items using short-term memory. Dorris’ students were there less to learn the marimba and more to challenge their brains. Three days a week, the students – all senior citizens – gather in Oakland to make music, exercise, create art and play computer games. 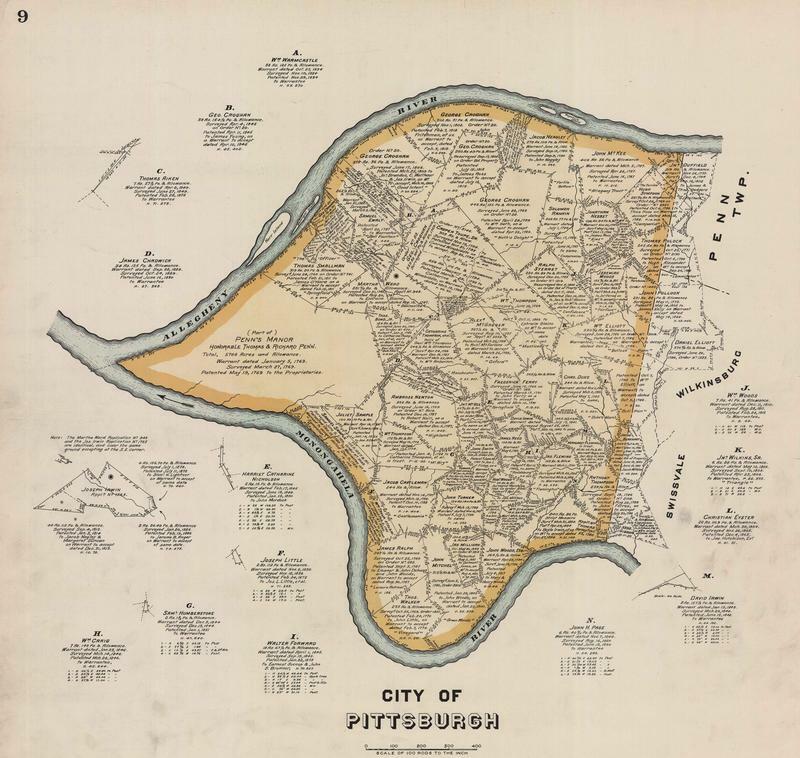 It’s part of the University of Pittsburgh’s Brain Exercise and Training Program, or BRiTE. Pitt psychiatry professor James Becker is co-director of the program, and said it’s the first of its kind in the nation. “In 1998, we met a group of individuals in Barcelona who have been really inspirational in Europe in terms of developing these kinds of programs, emphasizing non pharmacological approaches to working with folks who are older and who have some degree of memory problems,” Becker same. Becker said research has shown that activities such as music, art, movement and computer games are correlated with the preservation of memory and cognitive function. Sally Newman completes computer-based tasks that test her cognitive skills at BRiTE on Friday, February 17, 2017. 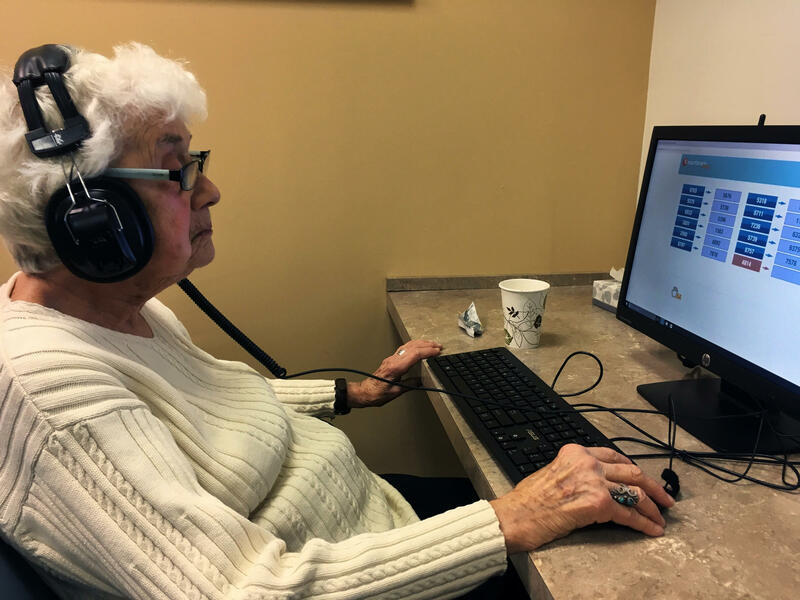 After the marimba lesson, Sally Newman, 87, made her way to the computer lab, where she worked with a program called Smart Brain. It asked her to put individual tasks in order to achieve a larger goal: buying a pair of shoes. 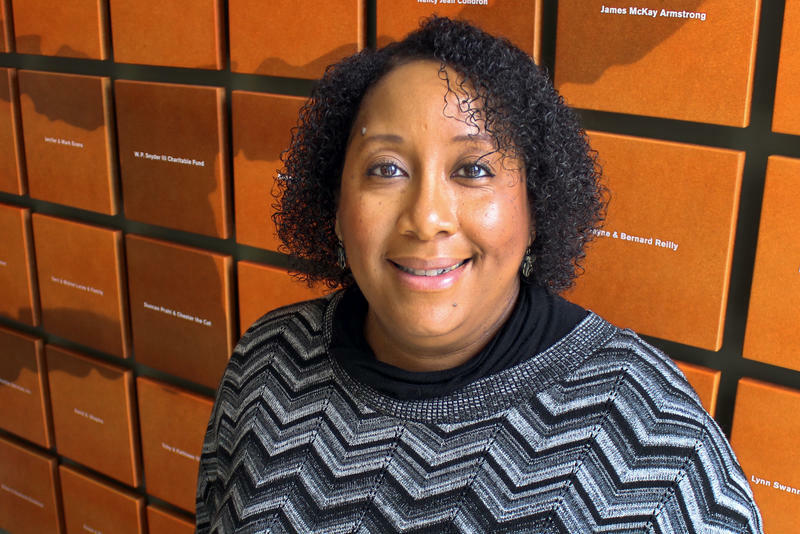 Newman hasn’t been diagnosed with a memory problem, but she said she still feels like she’s benefiting from the BRiTE program. 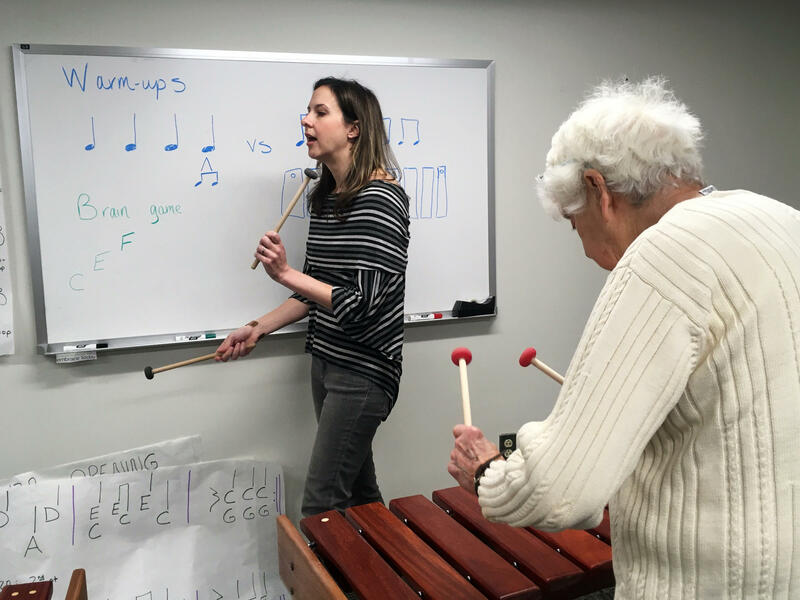 Newman said playing the marimba and doing yoga also help with the arthritis and frozen shoulders that limit her mobility. Program Director Bonnie Hoolahan said people don’t need to have a particular diagnosis to participate. 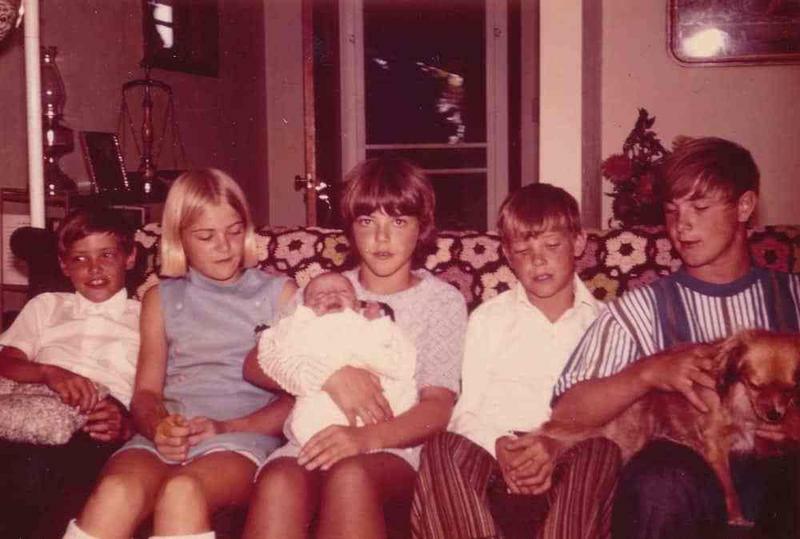 Though, 66-year-old Christine Brown does have a diagnosis: early onset Alzheimer’s disease. Christine Brown shares her self-portrait at BRiTE on Friday, February 17, 2017. Despite the fact that it was her first day at BRiTE, Brown was talkative during the artistic portion of the morning. 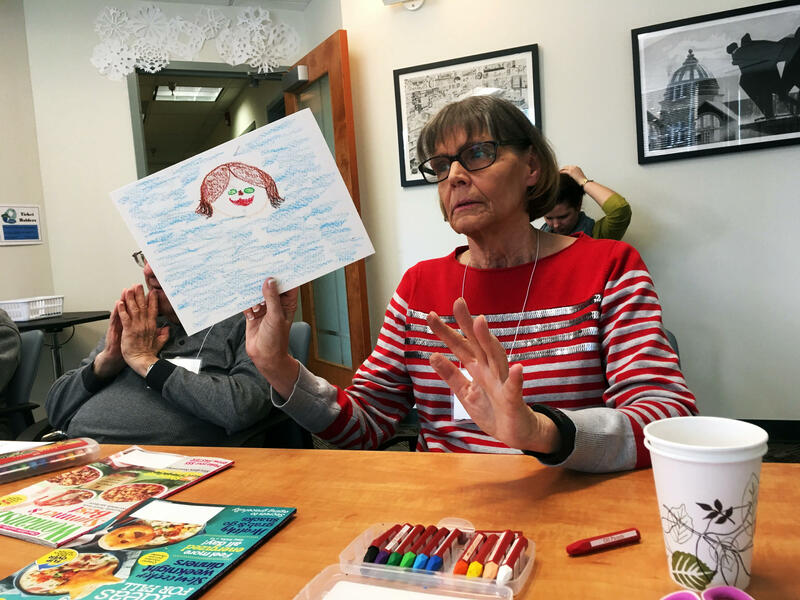 She and the other participants drawing and collaging self-portraits talked about everything from pizza to the weather to the care they’re receiving for their memory problems. She doesn’t drive, so she had to wait to join the BRiTE program until it offered transportation. 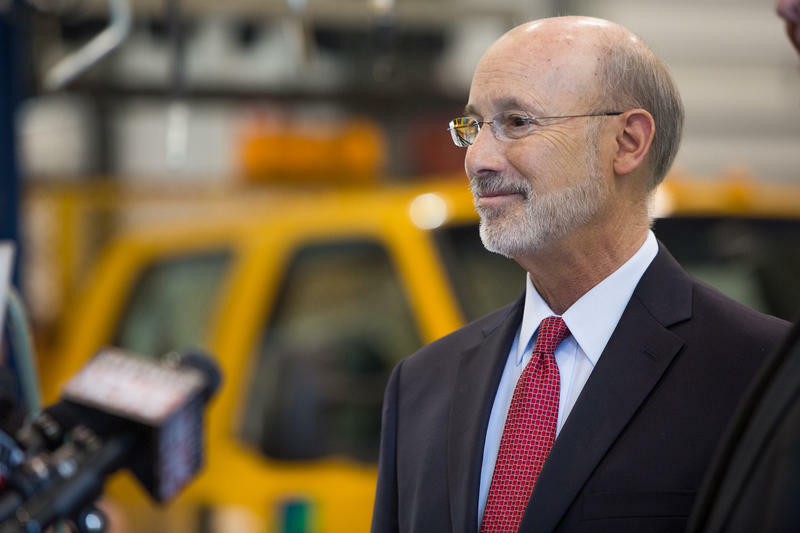 “I’m home alone every other day,” Brown said. Hoolahan said that social aspect likely has benefits as well, because memory loss and cognitive degeneration can feel really isolating. 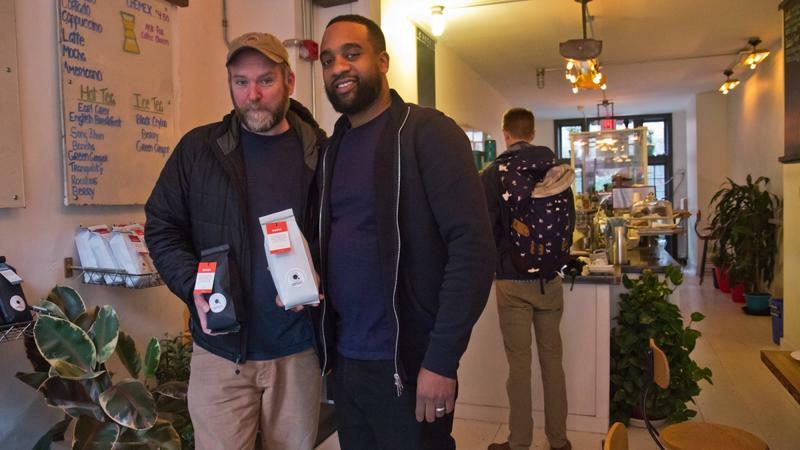 “We’ve got a great group of people and they talk and they make friend and, you know, they've all kind of got a similar issue going on that they can commiserate about and talk about and grow from it and learn from each other as well,” she said. 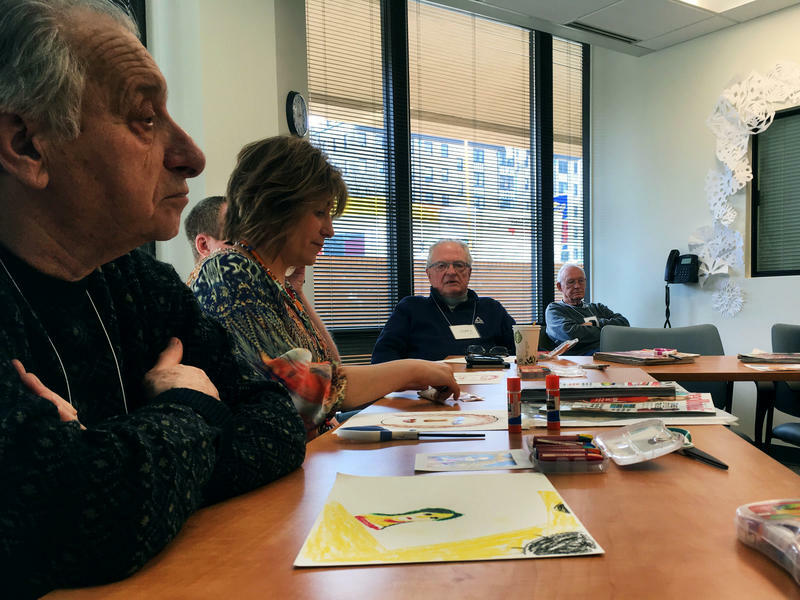 Professor James Becker said, in the future, they hope to use the BRiTE program as a way to conduct research on the effects these activities have on memory loss and cognitive function. Some called him a hero of high moral values. Others dubbed him a traitor. Either way, the infamous Simon Girty will soon be remembered with an historical marker in Greenfield. The installation is the culmination of nearly 30 years of research on the part of his great-great-great-great-great nephew, 83-year-old Ken Girty, who as a child believed his ancestor to be a good-for-nothing "baby-killer." He's since changed his mind.